Another post today for my Homework from the Kick Start Online Class. Something quick, out of my comfort zone. 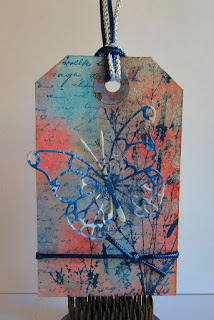 I have Distress Stains and I have never used them... OK, call me intimidated...but I used them on this tag. Really like how the Brushed Pewter stain turned out (even though you can't see it in the picture). Beautiful tag. You should put it in the Hero Arts Challenge Tag It! This is so pretty. Love that intricate butterfly. I've only used my Distress Stains once as well. Love how you've used them here, the colours are just beautiful. Ger x. 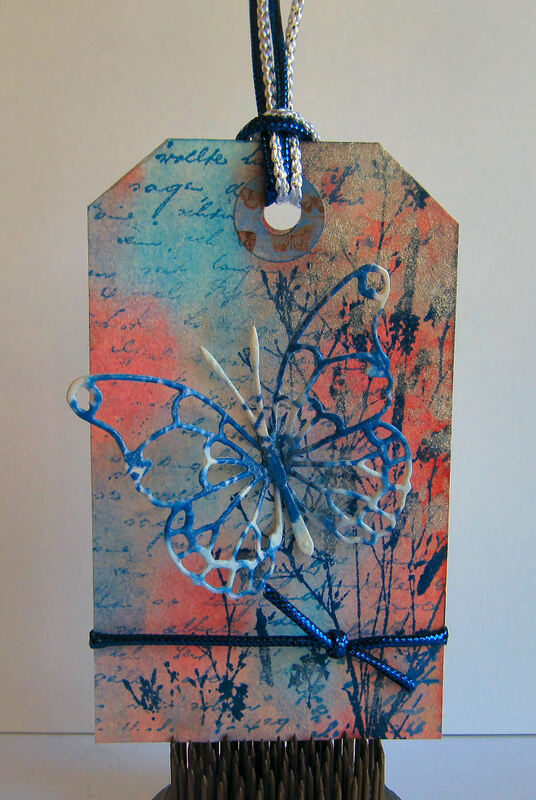 Love the whispy/airy feel of your tag Penny!